What is under the hood?Could it be ansems real form? he can see thatthere is nothing inside.He is too crippled to contain something.Also notice that there are no hands or separate legs its just an animated coat. Darkness, duh. And his heart. I love the Depressing Stick. Brown Coat is Xehanort (Ansem SoD) "reduced to a heart." So it's the heart is cloaked in darkness. You blind dude? Something is in that hood. Ansem is the "heartless" of Xehanort. Heartless are darkness made real, they have a presence formed of darkness. Meaning there is indeed something in there, it's just a matter of what. How else does the hood move if there wasn't something to move it. It's not a ghost. The only thing it ISN'T is a body. What is it though?Its the only character in a coat that is not the typical black coat but instead a brown one. Could it be Ansems true form? Yes in a sense it is Ansem's true form. He is described as both Xehanort's heart but also a heartless but in truth these two things are just different titles for the same outcome. 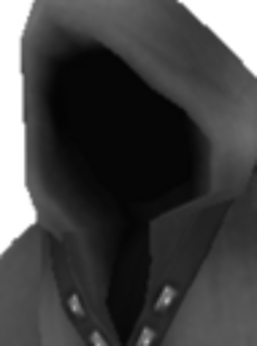 Ansem took on some form after the heartless experiment and it's that form under the hood, that's why if you look closely you can see a darker circle for a head in the hood with a "throat" and "chest" under it. It's extremely hard to see but you can see some type of form in there. The form Ansem has when possessing Riku is his human form but not his true one. I can see that.Could it be a projection of MX or Xehanrot just like riku projected himself in Kh1? Likely that or some distorted pseudo-heartless form. Does it matter what exactly the shape is? Even you agree there's something in the cloak, that's all this thread is trying to get answered. Nothing. 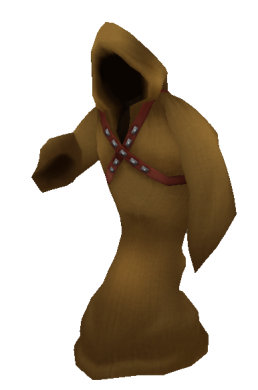 Just saying the form could be some sorta human-like/heartless form given Ansem's unique nature. Just a what if. Yes it does because you are using it for your theory of there being something under the hood when it was likely done for the needs of the developer not for us to use as facts for theories or explanations especially because we aren't actually meant to see those shapes. It's like how people used the information that Saix's model is Mysterious Figure to explain who MF was. Sometimes these things mean nothing. But that does not negate the fact that there is something maintaining the form of the hood. I'm not trying to go against you on that. I'm trying to give the alternative reason for the shapes you are seeing. Sora, but with white hair is under the hood. My dad told me, he works at Nomura. That would only be an issue if we knew for a fact it was a dev thing. The fact that there's nothing saying it's done for development reasons only or at all makes it a possibility which doesn't make it as big an issue as your saying. Especially in the Saix case were it was a confirmation. You saying its "likely" a dev reasoning is the same thing as me saying it could be his form. To say my reasoning only is an issue isn't true in that regard. I understand that but it's not as big an issue as you was letting on. All that matters is that something is under that hood maintaining the shape. All I did was show a possible reason for said shape. I wasn't trying to make it a big issue. I was trying to provide my counter to your possible reason. Or should I just not try to argue against your reasoning anymore? Jeez. There's no need to get mad, was just pointing out they're just a what if and because of that it makes it not as big an issue as aforementioned Siax model case of BBS. Sorry if that was somehow offensive but when there's a counter isn't only natural to counter said counter? Talking out both sides? Except it is exactly like the Saix model thing. Those shapes aren't meant to be seen by the player. All we are supposed to see is the shadowy nothing. If it wasn't for a having access to that large of a render, we'd be none-the-wiser. Sorry if that was somehow offensive but when there's a counter isn't only natural to counter said counter, isn't that what said topics are for? Yes, but you are trying to make my counter seem like I had brought it out of no where and had no place in this topic and that I should drop the thought altogether. It's worth the consideration and is not as small of a thing as you wish to make it. I had already conceded my point in the post and explained it was an alternative explanation and nothing more. I'm not mad? What made you think that? We're just gonna have to disagree there because I've always been able to make out that shadowy head since the sharper 1.5 graphics and until it's an actual confirmed thing like the Saix case I just can't see it being some big issue. Not that I'm saying it isn't true I'm just saying its not as big a deal your making it when you have nothing more confirming your side than mine. It just makes it seem like your saying my side only is some theorizing sin. Yes, but you are trying to make my counter seem like I had brought it out of no where and had no place in this topic and that I should drop the thought altogether. It's worth the consideration and is not as small of a thing as you wish to make it. I had already conceded my point in the post and explained it was an alternative explanation and nothing more. No I'm not! At least I'm not intentionally. Just trying to defend my point which your making out to be some big bad theorizing issue when it isn't. Unlike the Saix case there's no hacking or confirmations, not once did I say or mean your idea wasn't possible too on purpose. I'm blunt spoken so if I'm wording my own case wrong then I'm sorry but I'm unable to tell when I'm offending someone, all of this to me was just talk that's now fallen into misunderstanding. *sighs* I'll just go now, all I'm doing is angering you and I don't want to do so. I'll just go now before I phrase something wrong again. >_> Sorry to cause an issue.